I read this article and found it very interesting, thought it might be something for you. The article is called The De•brief: And Then CES Happenedand is located athttp://innov8tiv.com/the-debrief-1-10/. We’ve made it over the hump to the promised land of Saturday. Don’t show up to the water cooler, brunch or a dinner party empty-handed empty-minded. Here’s a recap of everything you need to know, or may have missed, about everything innovative and relevant from the past week. This is your week in innovation, carefully reviewed and curated for you. The first full week of the new year started off really slow, and then CES kicked off. If you don’t know what CES is, it’s an international consumer trade show that brings the coolest new technologies from more than 150 countries, that are ready for consumers. I’m not going to recap the entire show, because I’m simply not going to—too much went down, and a lot of it was “the remix” of the thing from a couple of booths down. To me, the most innovative technologies were the ones that could be repurposed. These technologies are going to be available to purchase soon, and they won’t be cheap, so what ever you latch on to, better be something universal, that will at least last you until December. 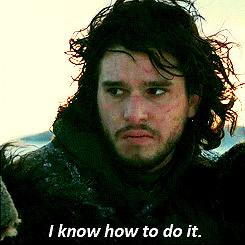 Speaking of re-purposing; HBO is the latest brand to use Vine as a medium for promotion. HBO announced the highly-anticipated new season for Game of Thrones on Vine with five trailer clips. They’re not the first, and they won’t be the last, but it’s worth mentioning that they chose social media to air the looks at the new season instead of their network. Watch the clips Here . O.K, back to CES; there were enough new and offbeat technologies there to set up 2014 to be smarter than past years—smarter homes, smarter clothes, smarter cars and smarter lives. Smart phones are a dime a dozen now, and because they’re the norm the low-cost of the hardware, microelectromechanical systems (MEMS), sensors with various capabilities, has allowed developers to embed sensors in new things, in new ways and breath new life into our lives. Mother is a device that uses sensors and resembles a traditional Russian doll; it is built to monitor the objects, creatures and people in your home. The name is appropriate because Mother monitors patterns in your home, and nags you when things change until you address it. Mother can work as a security system or a reminder to take your medicine. If you’re trying to stick to a new regimen, then mother can be of assistance. It’s a new technology, but the capabilities are another step in the direction of allowing us to turn our old homes into smart homes. Sensors were in everything, toothbrushes that send data to your phone; Digital wallets that link your hand to your credit card; cars that don’t need drivers; and an onesie that monitors all of your baby’s vitals. It doesn’t take a lot to throw “smart” in front of anything mundane anymore—just add a sensor. We are still getting used to how fast we are catching up to The Jetsons, but soon it’s going to take a lot more than a sensor to warrant “smart”. While sensors were making things “smart”, one of the smartest things to emerge from CES was a consumer ready 3D printer. 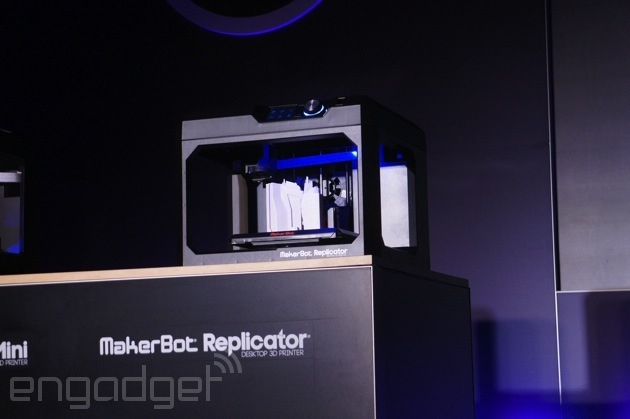 It’s still pricey, but MakerBot’s Replicator printer is ready to be used at home. I’ve seen a 3D printer in action—it lives up to the hype. Lazy/ procrastinating people ideals are at the core of a lot of new innovations, and the 3D printer is no different—when you forget or don’t bother to pick up a gift, you will be able to just print one. 3D printers just keep getting better! CES is over and our 2014 version of The Jetsons is just beginning–stay tuned to innov8tiv, because the best is yet to come.